SPLIT VIDEO FOR WHATSAPP STATUS is a FREE status saver and video trimming application available for Android devices. 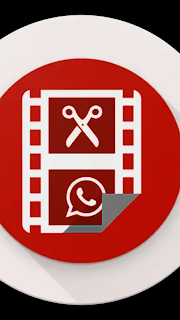 You can now leave the strenuous task of finding your contact's status videos and also splitting long videos for making it as whatsapp status. Simply browse through your contact's status or share the videos and share the videos. For splitting videos into parts, simply choose the video from your device. SPLITVIDEO: FOR WHATSAPP STATUS does it for you. Fast: We value your time and we will not waste it. And yes! We count in seconds. Simple: Click! Click! And ready to go! It is as simple as that. Upload all the splitVideos in one go. Currently we do not support an in-build file manager but promise to bring you one soon! And surprises that are still to follow. We are always open to feedback and concerns!